This post is based on a talk given by coach Ben Banyas called "Positive Coaching: How Action and Language Affect a Team", part of the URCA Library collection of coaching videos. Think back to the last game or practice you coached. Got it? Okay, try and think about the three words you used the most when talking to your players. You might have to think a little about that, so keep the question in the back of your mind and we’ll come back to it in a few minutes. The reason this is an important question is because in the context of coaching, language is very important. The words you use with your players affect team culture, motivation, and performance. In order to communicate effectively and bring out the best in your team, it is important to be thoughtful about what you say and how you say it. 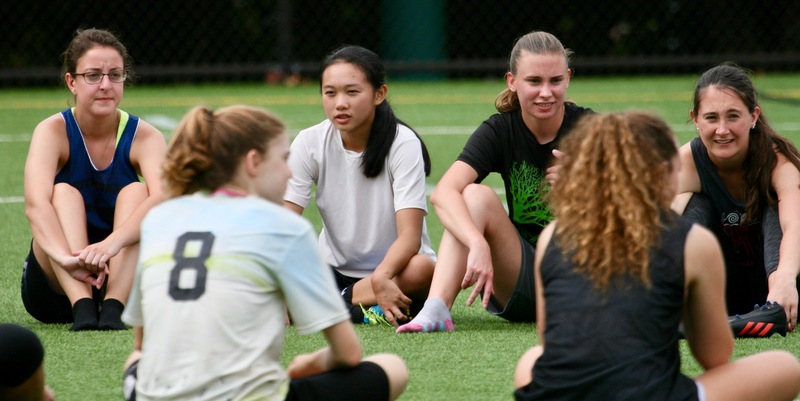 We’ll start with a basic premise: Your job as a coach is to communicate with your players in a way that helps them to get more out of themselves. The most important part of that sentence is that you help them get more out of themselves. That means that you communicate in a way that empowers your players. You are not the reason they do something, they are. It is far more important to teach players confidence than to teach any specific game action, and teaching confidence starts with language. Ben Banyas talks about two important things to keep in mind when communicating with your team if you want to create an environment where confidence thrives; 1) using language to create a positive team culture, and 2) understanding the impacts that even small words can have. How you talk to your team goes a long way towards shaping the team culture and environment, so be intentional about the language you use. This means knowing what motivates your players and talking about those things in a positive way that makes people feel that their motivations are accepted, valued, and respected. For example, some players might be there because they want to experience the friendship and comradery that comes from playing a team sport. Other players might really value winning, while others might be playing as a recreational escape from something else in life. Creating a positive team culture means using inclusive language so that everyone feels that their motives for playing are equally valid. A second key thing to remember when thinking about language and team performance is that even small words can have a big impact. For example, consider the difference between an “expectation” and a “challenge”. When a team expects a particular result, there are 2 possible outcomes - either they achieve it and probably feel a sense of relief that they did not fail, or they do not achieve it and feel badly for falling short. Contrast this with challenging your team to achieve a particular result. If they achieve it, there is a sense that something significant has been accomplished. If they do not achieve it, that simply means that the challenge is still on-going. By talking about challenges instead of expectations, it de-stigmatizes failure and changes it from something bad (“we failed to meet an expectation”) to something simply factual (“we failed to achieve the challenge this time”). The way you talk about failure can make it either a tool for change and improvement or a debilitating state of inaction. Even small words can go a long way towards creating a growth focus, or taking away from it. So going back to where we started, do you know what three words you use most when coaching? Are those words creating the team culture you want? Does your team perform they way they want when you use those words? The next time you are coaching at a practice, pay attention to what you are saying. Do you talk about failure as something to be ashamed of, or as an opportunity to identify an area for growth? Do you use language that creates space for everyone? 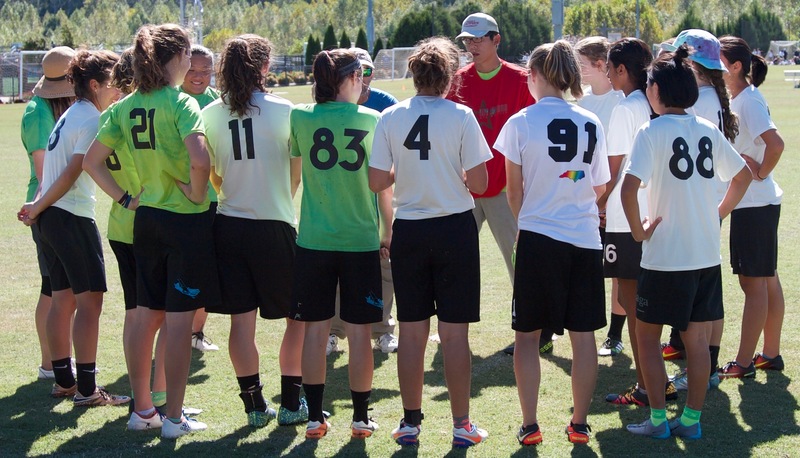 Language is a powerful tool, and how you communicate as a coach sets the tone for your team.